Will the Disney-FOX deal affect Gotham and Lucifer? This week, FOX chief Dana Walden discussed the future of the two DC series, TVGuide reports. As reported earlier, Disney recently acquired FOX and there have been concerns that both Gotham and Lucifer will be cancelled since Disney owns Marvel, not DC. 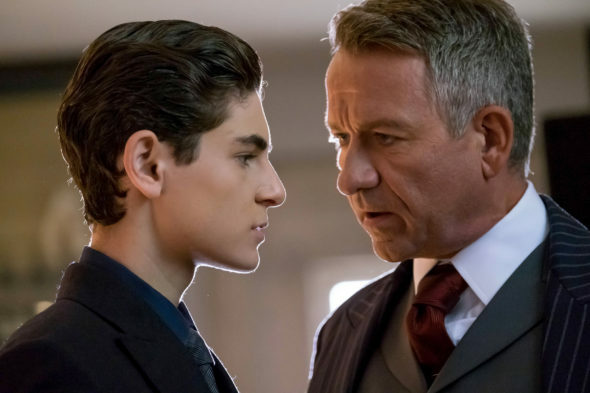 A Batman prequel, Gotham is currently in its fourth season and Lucifer is currently in its third. What do you think? Do you watch Gotham and/or Lucifer? Do you think they’ll be renewed? More about: FOX TV shows: canceled or renewed?, Gotham, Gotham: canceled or renewed?, Lucifer, Lucifer: canceled or renewed? I stopped watching Gotham after Season 2, recorded season 3 on my Tivo and never watched it, ended up canceling the recording and deleting the series. Lucifer is a guilty pleasure, I loved season 1, not so much the shortened season 2, and season 3 is a joke so far. Maze is missing way too often as well as the detectives daughter. Those two characters brought loads of interest to the show. The mom angle was not so interesting either. Maze left for maternity leave, she is back to a regular filming schedule now and is supposed to appear on the remainder of the season. Lucifer is so bad this season … I cannot hate the awful scenario and plots !!!! Make some room for better shows please. started off GREAT….has trickled down to just good – yes cuz it’s been meandering along…still fun to watch though and the lead is f’n brilliant. Enjoy jumpin ship lol This season got a trixie episode – nuff said. That kid is magic. Gotham is my life. Best show ever! Gotham has really hit it’s stride. It is very well done show and should be renewed. I’ll make a prediction that Disney will decide Gotham and Lucifer are to “gritty” for their public pablum, and ax both of them. Then blame something bogus like ratings. These are both great shows. Even though Disney acquired Fox I hope they don’t change anything. Fox has amazing shows it’ll be a shame if they want to get rid of anything that doesn’t meet their criteria. Definitely don’t want Lucifer cancelled. Dang good show. I love both these shows so I hope they don’t get axed!! I can’t believe Fox sold oust to Disney?? No place to shop but walmart, no one making tv and movies but fox, wwe owns wrestling, it will continue to snowball…kinda sad and scary. I hope Lucifer is renewed, all my friends And I watch it faithful every week, even the reruns.